“Is this really what you want? To leave me?” he shouted. “If you leave me, I will kill myself. You are so cold. How could you be so cruel to me?” With that he left, slamming the metal front door in my face. I had no idea what he would do, and I was terrified. I was only 21. Little did I know I would hear his threats over and over again, like a horrible song on repeat. Dating abuse among young people occurs more often than we realize. Girls and young women between the ages of 16 and 24 experience the highest rate of intimate partner violence than any other demographic, almost triple the national average. Nearly half (43%) of all dating college women report experiencing violent and abusive dating behaviors. Even in high school dating violence occurs, with nearly 1.5 million students reporting physical abuse from a dating partner per year. It’s striking, but it should not be a surprise. Violent behavior typically begins when a person is between the ages of 12 and 18. Studies show that 15-40% of youth report perpetrating some form of violence against a dating partner. When this pattern of abuse is established in adolescence, the severity of violence increases. Among high school students who dated, one in five (21%) females and one in ten (10%) males experienced physical and/or sexual dating violence, according to the Center for Disease Control. Although most parents (82%) feel confident that they could recognize the signs if their child was experiencing dating abuse, more than half of parents (58%) could not correctly identify all the warning signs of abuse. For many young people, it is difficult to recognize the warning signs of abusive behavior in real life situations. Serious red flags such as jealousy, stalking, or cyber-bullying are dismissed as normal behavior. As April VanDover, Children’s Program Director points out, “The longer these unhealthy trends continue, the more dangerous it can be for a young person to get out of that situation.” Safety planning and education on healthy relationships can help to prevent dating violence. But in certain situations a protective order is needed. “If a teen is experiencing violence from a boyfriend, ex-boyfriend, or girlfriend, they would need an adult to file on behalf of them against the respondent. The filing would take place in our Juvenile & Domestic Intake Office in Manassas,” states Ryan. “We have seen parents file on behalf of children, as well Social Service professionals or intake offers who may file on behalf of a minor. Often in these cases, a guardian ad litem (attorney who represents the child) is assigned by the court. Young people who are over 18 would not need a parent/guardian to petition for them. Rather, they would fie as an adult at the General District Court or at the JDC, depending on the situation.” Ryan said. Lauren continues, “It wasn’t until I visited ACTS, where someone explained the power and control wheel, that I realized I was in an emotionally abusive relationship. My mind was trapped, even after he attempted to harm himself and me several times. Physical abuse is dangerous, and those bruises can heal. But my bruises were in my head. I had been battered so hard mentally and emotionally that he had derailed my entire being. I had no idea who I was anymore. He stripped me of my confidence, my self-worth, my joy. I had a lot of help from my family and other resources, but it took years to rebuild my life and to dig myself out of the deep hole that I was pushed into. There are things that still remind me of the abuse, but I know that I am beautiful, valuable and worthy of love. I know that jealousy, name-calling, put-downs, physical harm, and harsh words are NOT love, and should never be tolerated. 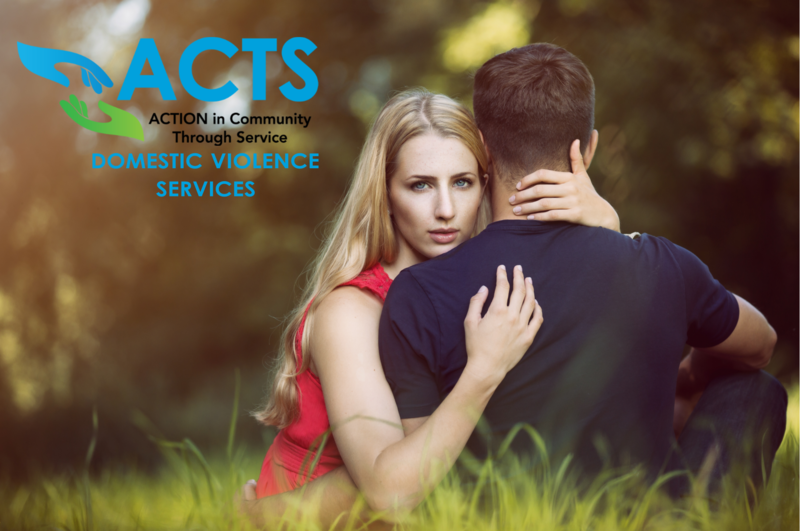 ACTS Domestic Violence Services (Turning Points) is committed to ending Domestic Violence in Prince William County through Court Advocacy, Peer Counseling, Adult Support Groups, Children’s Program, Community Education, and Clinical Counseling for individuals experiencing violence from an intimate partner. If you are at risk, please call our 24/7 hotline at 703-221-4951.